The main background addressed in this book should be presented regarding Data Mining and Knowledge Discovery. Major concepts used throughout the contents of the rest of the book will be introduced, such as learning models, strategies and paradigms, etc. Thus, the whole process known as Knowledge Discovery in Data is provided in Sect. 1.1. A review on the main models of Data Mining is given in Sect. 1.2, accompanied a clear differentiation between Supervised and Unsupervised learning (Sects. 1.3 and 1.4, respectively). In Sect. 1.5, apart from the two classical data mining tasks, we mention other related problems that assume more complexity or hybridizations with respect to the classical learning paradigms. 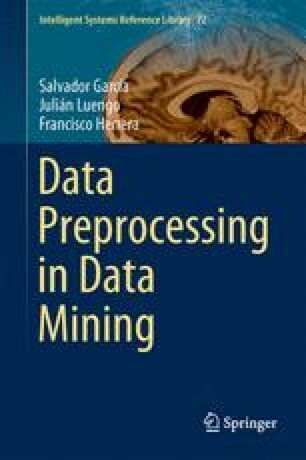 Finally, we establish the relationship between Data Preprocessing with Data Mining in Sect. 1.6.